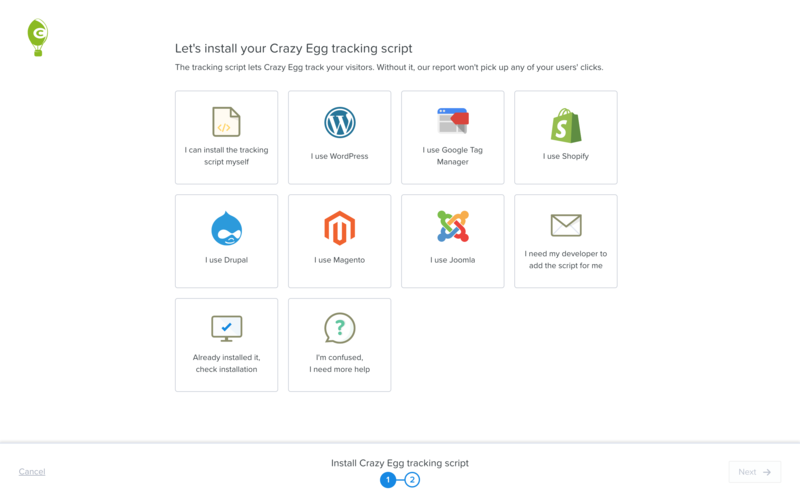 Crazy Egg is a tool that offers heatmaps for websites, so that companies can see where visitors are scrolling, clicking, and spending the most and least time. This tool can be helpful in informing better UX decisions and design. 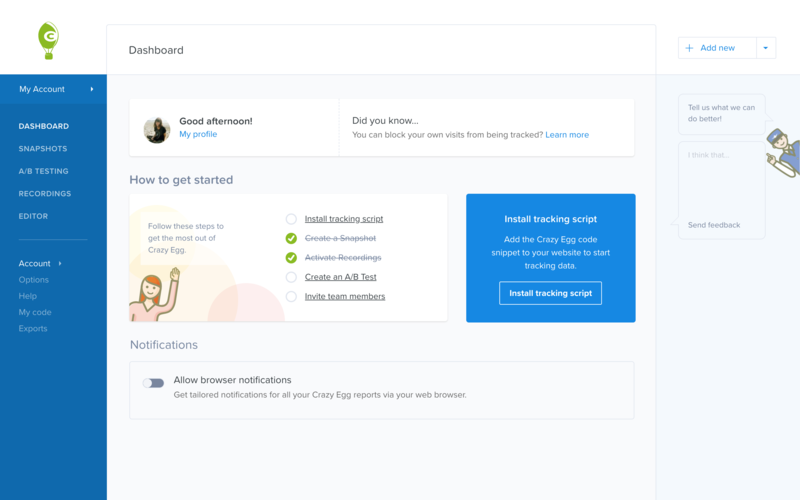 In Crazy Egg's onboarding, they collect information and congratulate new users as steps are completed. After entering their URL, users are congratulated for completing their first step. This tactic psychologically eases users out of any friction they have been worried about. 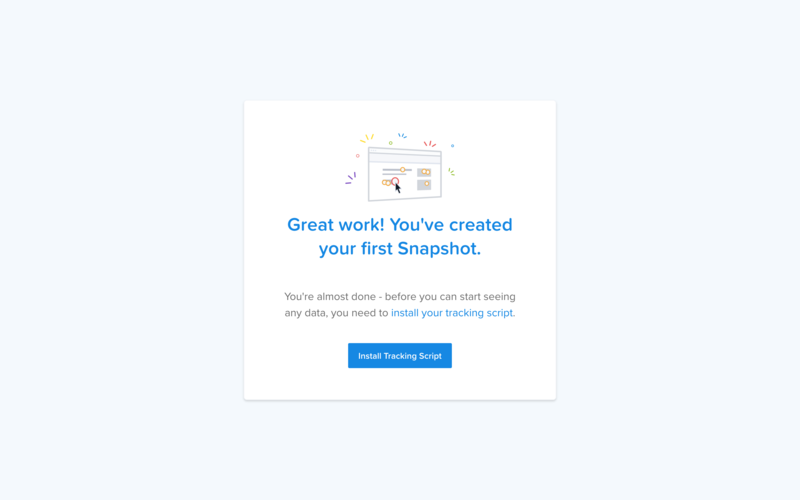 Users can feel accomplished and well-guided as they move on to the next steps. 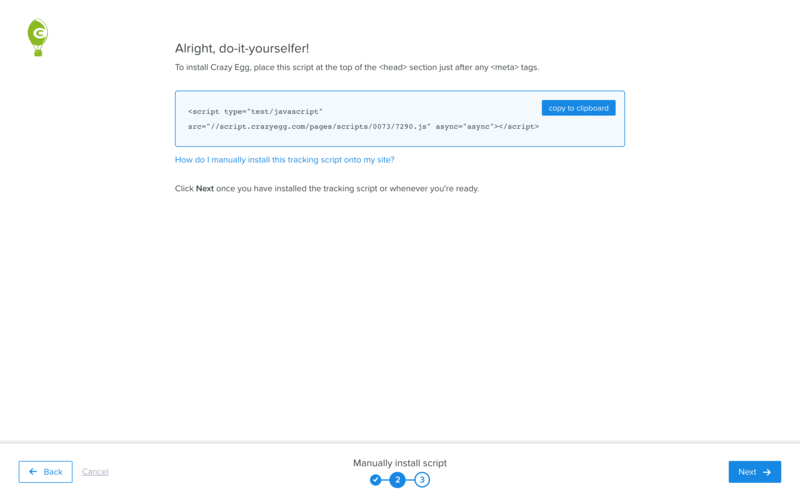 Their most tech-savvy step involves users installing their tracking script. 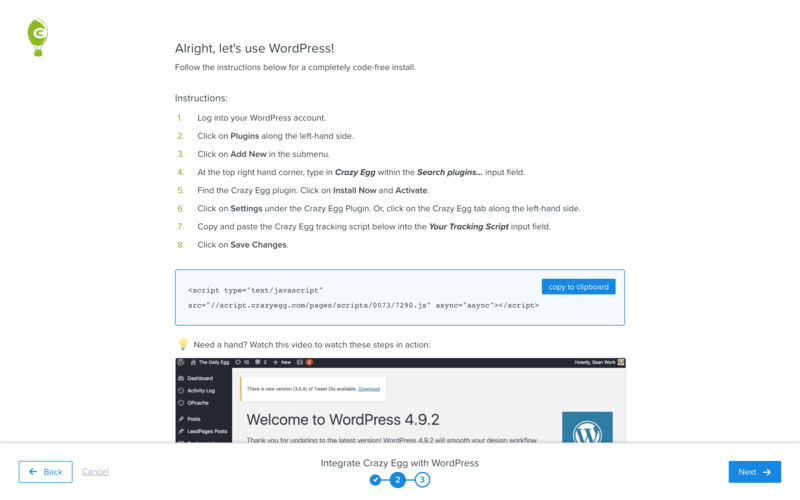 Users are presented with a variety of choices, and Crazy Egg explains each one after they are selected. 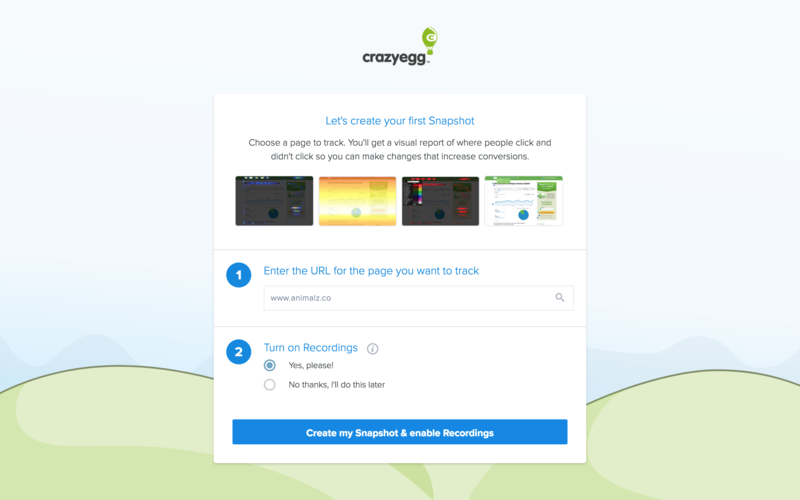 Crazy Egg wants to eliminate any hesitancy in these steps by proving their support to new users. Lastly, the dashboard has a nice little checklist. Users can see what they have already checked off, which might seem like more than they initially thought.